With Tiffany’s closing expertise combined with her law degree, our Park Cites client’s real estate transactions could not be in better hands. 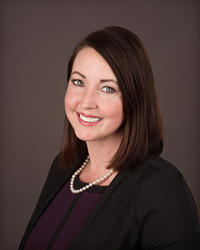 North American Title Co. (NATC) has named Attorney Tiffany Hanzik escrow officer for its Park Cities branch in Dallas. Prior to joining North American Title, Hanzik worked as an attorney/escrow officer for a national title group in Addison, Texas. Previously, she was an associate attorney with Pratt, Aycock & Associates, PLLC in Dallas, where she first began working in the title industry, and before that, worked as an attorney in the oil and gas industry. She also worked in civil litigation and corporate immigration practice while in law school and is a qualified mediator. A lifelong resident of the DFW Metroplex, Hanzik earned a Master's degree from Southern Methodist University and her Juris Doctor from Texas A&M School of Law. She will be working out of the Park Cities branch at 8333 Douglas Ave., Suite 130, Dallas, TX 75225 and can be reached at telephone number (214) 720-1020. With more than 1,200 associates and a network of branches from coast to coast, North American Title Group, LLC (NATG) is among the largest real estate settlement service providers in the United States. Consisting of both agent and underwriter operations, NATG reported total gross revenues in fiscal 2016 of $360 million. The company also has the resources and stability of a wholly owned subsidiary of an S&P 500 company with over $15.3 billion in assets (fiscal year ending Nov. 30, 2016). North American Title’s agency network operates nationally under the name North American Title Co. and similar names (NATC) in 18 states: Arizona, California, Colorado, Delaware, Florida, Illinois, Indiana, Maryland, Minnesota, Nevada, New Jersey, New York, North Carolina, Pennsylvania, South Carolina, Texas, Utah and Virginia, in addition to the District of Columbia. Through its relationship with an expanding affiliate network, NATC provides real estate settlement services in all 50 states. NATG is headquartered in Miami, Florida. To learn more, visit http://www.nat.com.